Melanged Magic: Can We Go Home Now? With all the milling around and 'truffling' going on at Tuesday's Lalbenque market, I'm surprised these guys managed to avoid getting stepped on. 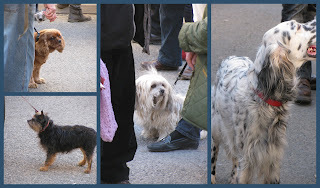 Truffle market day can't be a lot of fun for them!